The Washington News Council, the nation's last media-watchdog organization, shuts its doors this month at a time when the proliferation of social media, bloggers and self-styled online "journalists" may make the need for some sort of "critical observer" for their offerings more important than it ever was with conventional media. John Hamer, who founded the organization in 1998 through one-on-one conversations with some of the area's most prominent community and business leaders to create his founding board, in many ways became a national torch-bearer for the concept of media oversight. After 16 years of overseeing the News Council's successes and challenges, Hamer decided at the age of 68 it was time to step down, but a successor didn't emerge and so the board, guided by Fremont businesswoman and longtime chair Suzie Burke, decided it was time to shutter the organization. He doesn't plan to retire so much as "change the method" of seeking to advance his cause, and suggests "the public needs to find new ways to engage in media oversight and maybe take the news council concept to the next level." "Oversight has to become much more democratic, with much more public engagement," Hamer said. "If everyone can be a journalist in this social-media era, then everyone needs to become a media critic, or at least a media skeptic. They need to hold their social-media favorites to be accountable." During WNC's early days, Hamer guided it to become the key to growth of the concept nationally, getting a $250,000 grant from the Knight Foundation to sponsor a nationwide contest to start two more news councils. California, which has since closed its doors, and New England, which metamorphosed out of a watchdog role, were launched by WNC. And he created the concept of a "TAO of Journalism pledge," which provides for media, whether conventional, blogger or Facebook poster, to promise its audience that they will be "Transparent about who you are, Accountable for your mistakes, and Open to other points of view." Hamer says the pledge has come to be adopted, including use of the TAO of Journalism seal, by a large number of high school and higher education publications. He hopes to pursue broader awareness of and commitment to the pledge. "Basically what the News Council sought to promote was accountability, which incorporates all the key issues like truthfulness, integrity, accuracy," said Hamer, adding that those are the things that the public must now demand of the media entities they support. But the News Council always operated on a financial shoestring, with Hamer having to serve as the equivalent of development officer as well as guiding day-to-day operations. And the end might have come sooner had it not been for a $100,000 matching grant from Bill Gates Sr., an initial board member and constant believer in the importance of WNC's role, in each of the past three years. One who isn't so sure of a process by which the public becomes watchdog for whatever their favorite media happens to be is workable is Ken Hatch. As a member of Hamer's founding board and a retired broadcast executive who as head of KIRO Inc., when it was a television-and-radio property owned by one of the nation major broadcasting corporations, was one of the most powerful media people in the region. "This is a major loss to a civil society that believes in a balanced freedom the press," Hatch told me in an email exchange. "The loss of WNC allowed unchecked forces with money to have a power not healthy for our society. I fear for the future when there is no 'point-counterpoint' to create reason." I was a member of the WNC board for several years after my retirement as publisher of Puget Sound Business Journal and Hamer and I discussed on various occasions how the organization might move beyond keeping an eye on conventional media and look to watchdogging the new media filled with journalistic wannabes. The concerns about internet and social media integrity and accountability are not much different than concerns that have always existed about newspapers, broadcasters and similar communications entities. A key challenge is knowing what motivates the writer ofsomething on the internet. One that routinely concerns me is when bloggers or others are paid to write something and there is no indication for the reader that "hey, I got money to write this." Of course that sometimes happened, and still does, in what Hamer refers to as "legacy media," for example as when a newspaper might write a story that the subject paid for. Some in what I view as media myopia, might ask "Why does that matter," as if integrity should somehow not be a part of accuracy. I once suggested to the publisher of a daily newspaper that there was an ironic opportunity for those in legacy media to carve out an indispensable role for themselves by occasionally, perhaps weekly, doing a review of new-media or blog sites to offer "trustworthy" and "non-trustworthy" blog sites. Perhaps using a panel of experts to evaluate those sites. My sense was that those who really care about the legitimacy or accuracy of what they are reading might well look to experts for guidance. "In my view, everyone needs to become part of a new 'Citizens News Counsel,' or some such name, to hold ALL journalists (mainstream, bloggers, Facebookers, Tweeters, etc.) accountable for accuracy, fairness and ethics," he said. "It's time to 'crowdsource' media ethics. But citizens need guidelines to know who they can trust." Seattle-area women entrepreneurs came into sharp focus Tuesday evening at the Zino Society's first ever investment forum devoted exclusively to women entrepreneurs seeking angel capital. And a band of Irish enterpreneurs takes center stage in the Seattle area next week with an array of visits to local companies and a reception hosted by Seattle's Irish mayor. The audience for the Zino event at the Columbia Tower Club was evidence that female entrepreneurs as well as female investors are no longer a rare breed in this area. But Zino CEO and founder Cathi Hatch noted for the audience of mostly woman that national statistics indicate that companies with at least one woman on their founding team are about 18 percent less likely to attract equity investors than their all-male counterparts. As the number of female entrepreneurs guiding start-up businesses in search of capital grows, the panel of expert judges that Hatch assembled to be on hand made it obvious that entrepreneurial success stories for women is not a totally new phenomenon. Fran Bigelow opened her first European-style chocolate shop in Seattle 32 years ago and has over time become known by her industry organization as "the best overall chocolatier in the United States. Renee Behnke brought her retail and food background together with her husband, Karl's, business background, to launch Sur La Table almost 20 years ago and grew it into a national company that they recently sold. Although since neither Bigelow nor Behnke needed start-up capital, they differed from most of the entrereneur hopefuls in attendance last night. But the successes of both gave evidence that women have all the skills necessary to build hugely successful businesses. The fact there's no shortage of female entrepreneur hopefuls was pointed up by the fact a dozen companies were selected to give elevator pitches to the attendees and eight had the opportunity for five-minute pitches. As for the Irish business part of this column, next week will find a delegation of about 100 Irish entrepreneurs visiting Seattle, with the highlight a reception hosted by Seattle's Irish mayor. Ed Murray, with a couple of local Irish bankers, as well as Mick McHugh, proprietor of Seattle's iconic Irish pub among the welcoming audience. All the Irish entrepreneurs visiting Seattle, as well as Vancouver next week, are winners of the Ernst & Young Entrepreneur of the Year competition in Ireland, including the 2014 crop of 24 entrepreneurs. Frank O'Keeffe, the E-Y Ireland partner who first envisioned the program of annual visits a decade ago, notes that while "joint ventures, new projects and investment have most certainly come out of the retreats," the goal was to boost Irish entrepreneurs to compete better at home with multi-national companies that have located in Ireland. "Through our interaction with the very best Irish entrepreneurs, we began to notice the increasing threat (the multi-nationals) posed to our indigenous businesses to attract the best talent and maintain their market position," O'Keeffe explained. "At the time, there was a need for a greater industry-led support system that could assist Irish entrepreneurs in growing their businesses both at home and in the global marketplace," he added. "We realized that E-Y Entrepreneur of The Year (EOY) could develop beyond the award to become a strategic development programme for Ireland's leading entrepreneurs," O'Keeffe said. The entrepreneurs on the Seattle trip, which follows one last year to Chicago, Notre Dame and New York, are guiding companies from multi-million dollars in revenue to fast-growth startups. 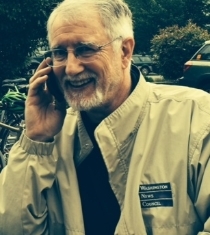 John Keane, the retired Seattle-area businessman who has been the Honorary Irish Consul since 2009, describes the business connections between Washington state and Ireland as "strong and growing." "That's not just because companies like Microsoft, Amazon, Paccar, Expedia have operations in Ireland, but also because there are over a dozen Irish companies that have operations in Washington state, such as Kerry Group, CRH, Sentaca, lotusworks and Sentaca," he added. Most of the reception attendees are being invited by Irish Network Seattle, whose members of work in all the major business fields in the area, mainly high tech, but also in the areas like medical. "I hope the entrepreneurs will be encouraged by those they meet and what they see and hear to consider Seattle and Washington State they think of locating in America," he said. Patrick Patrick's retirement as president and CEO of Seattle Bank, which was on the financial precipice when he arrived on the scene in September of 2010, has now completed the latest chapter in a career of turning around troubled banks. Patrick, now 72, figures he'd be interested in another turnaround opportunity and is quite certain there will always be banks in need of turnaround. And he thinks that perhaps what he sees emerging in the industry may continue to produce more of them. "There will always be troubled banks," said Patrick in an interview following his retirement. "The question is the degree of trouble in determining if they need to bring an outsider in." It took Patrick less than a year at the helm of Seattle Bank before he put together an unusual team of non-bank people, prominent local business executives who put up $50 million to recapitalize the bank. That provided the capital for Patrick to start bringing the bank back out from under the weight of soured real estate loans that had brought the bank under the thumb by regulators since July of 2009. Since its establishment as Seattle Mortgage Company in 1944 by Ben Smith Sr. to help veterans returning from World War II to buy homes, the bank had been a highly regarded, family owned financial firm. It became Seattle Savings Bank in 1999 but changed its name to Seattle Bank in 2009, shortly before the bank and its Seattle Financial Group holding company were placed under a cease-and-desist order and told to create a capital-infusion turnaround plan. Now that he has turned the bank around and stepped, perhaps briefly, into retirement again, Patrick sees a familiar, troubling pattern re-emerging. "We're going back to doing the same things we did when the financial industry got into trouble. Because competition is fierce and interest rates are extremely low, some banks are making loans on terms we shouldn't be considering," Patrick added. 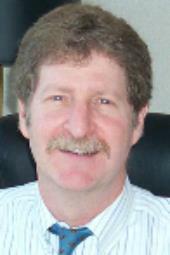 Patrick's perspective extends back over four financial crises, with his first opportunity to assume the role of turnaround CEO coming after the savings and loan crisis of the early '80s when, in 1983, he was asked to take the helm at Seattle-based Prudential Savings, which was in danger of being closed. Two years later, he found himself also overseeing Westside Federal as well, running both thrifts simultaneously for a year before melding Westside into Prudential and, on "Black Monday" in 1988, selling Prudential to Tacoma-based Pacific First Federal. Thus the role Patrick played at Seattle Bank is one he's been playing over the 30 years, a role that could be characterized as the financial version of an old television western series called "Have Gun, Will Travel" in which the hero went from town to town to resolve problems created by the bad guys. As I pointed out in a column on Patrick soon after he stepped in at Seattle Bank, in his case the "bad guys" have been those who've taken actions that jeopardized community banks thus putting at risk the important role such institutions have traditionally played in the economic health of their communities. Not all his assignments have been successful, as his role immediately preceding Seattle Bank, guiding the hoped-for turnaround of Towne Bank of Phoenix, failed as the bank went down four years ago next month, two years after Patrick came in with the bank under the cloud of federal oversight. "It was the target of one of the first cease-and-desist orders in the country and had one of the highest amounts of non-performing assets I'd ever seen," Patrick said. "In the end it wasn't possible for the turnaround effort to succeed." 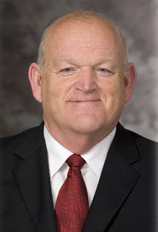 As a career-long believer in community banks, Patrick expressed concern about their future in the 2010 interview, and retained that concern in the interview following his Seattle Bank retirement. "Community banks are the framework of any town or city and the framework is in great jeopardy," he said in the 2010 interview, "even though not one dollar of taxpayer money has been spent on any problems that individual community banks have encountered. Any money that's gone to community banks has come from assessments and insurance premiums." He has similar concerns still, noting that "many of the new regulations put forth in the past couple years have made community banking much more difficult." "Sometimes the law of unintended consequences makes the cure worse than the issue," he said. "Without community banks, who is going to help the small businesses that drive our neighborhoods? We can't doubt the sincerity of those who want to provide protection for everything, but there is a point where we create even bigger concerns." Washington State securities regulators intend to make sure that entrepreneurs anxiously awaiting adoption of the rules that will permit them to begin raising capital under new state crowd-funding law won't face any of the frustrations and disappointments that have followed passage of similar legislation at the federal level. The bill under which entrepreneurs can raise funds up to $1 million a year in small amounts from in-state investors passed the Legislature, was signed by the governor last month and goes into effect June 12. But officials of the State Department of Financial Institutions have until October 1 to put in place the rules and the process under which the fund-raising can get under way. In an effort to ensure that everything is done on schedule, Scott Jarvis, director of the Department of Financial Institutions, says even before the legislation goes into effect, his agency has begun the planning process for how the rulemaking will unfold between now and October. Washington is now one of a handful of states where lawmakers have decided the promise of a new source of fundraising for entrepreneurs won't likely come about in any meaningful way at the federal level and thus have decided to act locally. It's becoming increasingly likely that what Congress, with an election-year flourish two years ago, passed as the JOBS Act to open the door for entrepreneurs to fund their start-up businesses by attracting average investors on the internet will remain a promise unfilled. It's now been almost two years since Congress passed the bill and gave the Securities and Exchange Commission 180 days to put together the rules for how entrepreneurs could fund their start-up companies via the internet to allow selling equity to large numbersof average investors. Well, entrepreneurs around the country are still waiting for those rules to emerge from the SEC, which must pass rules to implement the legislation officially titled Jumpstart Our Business Startups. And there is a growing sense that the details of compliance, once the SEC finally acts, will be so onerous on entrepreneurs that the costs of starting to raise capital on the Internet will deter many if not most would-be entrepreneurs. One of those cost factors imposed under the federal act involves a requirement that entrepreneurs must use what are called "portals" basically a new kind of SEC-regulated website with unique responsibilities to oversee the entrepreneurial fund-raising activities, investor risk and monitor money raised. Under the state legislation, economic development organizations and ports will serve as portals for the entrepreneurs at the outset, with the legislation's second deadline being methods of qualifying other portals by next April 1. But unlike with the federal legislation, Washington state entrepreneurs raising funds won't be required to use a portal. The bill allows eligible businesses to raise up to $1 million during any 12-month period and repeat the process in subsequent 12-month periods with accredited and non-accredited investors allowed to participate, up to the investment caps imposed by the federal legislation. Joe Wallin, the Davis Wright law firm attorney who had the leading-edge role in bringing about the state crowd-funding statute, sees it as "potentially a good avenue for companies to raise capital." 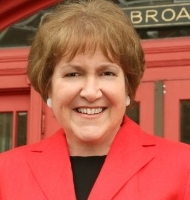 Wallin, who wrote the first draft suggestion the legislation and included it in a blog post later testified on its importance in making the state more business friendly. He suggests, as others have, that having a crowd-funding law in place to allow entrepreneurs who are residents of this state to sell small amount of equity to investors who must also be Washington residents could attract entrepreneurs from other states to move to Washington. "States are vying to get businesses to move to their states to bring jobs and entrepreneurs who build businesses through crowd-funding will eventually also create jobs," he adds. Rep. Cyrus Habib, the King County lawmaker who sponsored the bill, said "we're putting our state in a place to attract entrepreneurs, and to capitalize on their energy and brainpower. And ordinary people get to buy a piece of the action." Since the Internet has been viewed as the vehicle of choice by entrepreneurs and crowd-funding advocates to reach large numbers of average investors most effectively, the fact that only Washington residents are eligible to invest in the Washington state-based companies creates an outreach challenge for the startups. Wallin says "companies will have to be very careful" how they conduct their equity offerings, using either portals that only allow investors of a particular state to view offerings, or "work connection to connection in a manner that doesn't involve generalsolicitation to non-residents." Part of the role of portals will be to ensure that a firm's annual fundraising via crowd funding doesn't exceed the legal $1million restriction. If there's any doubt that optimism is the byproduct of entrepreneurism, witness the fact that venture capitalists and other investors are rushing into the creation and development of the companies whose business is serving as portals and helping provide services to those who will be hoping to raise equity under the eventually implemented federal act. The VC's have poured millions of dollars this year into companies like Indigogo, Crowdbit and Teespring and other such crowd-funding support companies. Wallin, the Davis Wright attorney, think portals will attract funding from experienced investors. "They are Potential great investments," he said. Unlike most rule-making hearings by state agencies, the crowd-funding hearings may draw substantial and boisterous gatherings. As DFI Director Jarvis put it, "this is a crowd of young and enthusiastic supporters who have little knowledge of the process of rulemaking." Part of the challenge for the agency as the rulemaking moves ahead is that some entrepreneurs may fail to understand that, as Securities Administrator Bill Beatty emphasized, "our mission is a dual mission: to protect investors and promote small business capital formation." Pipeline Fellowship, a national "bootcamp" to teach women philanthropists how to become angel investors as part of a strategy to boost funding opportunities for female entrepreneurs who are starting for-profit social ventures, is being launched later this month in Seattle. 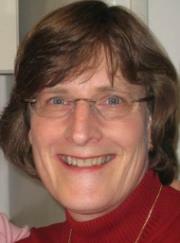 The program, created in New York in 2007 and already in place in several cities around the country, is being put together in the Seattle area under the guidance of Susan Preston, a Seattle attorney long-prominent in helping entrepreneurs and a founder in the late '90s of the local women's angel organization called Seraph Capital Forum. The Seattle launch of the Fellowship is likely to get a visibility boost because of a national award that Preston will be receiving as Small Business Person of the Year, selected by the Small Business Council of America. She will receive the award in Washington, D.C. in early May. Preston returned recently to Seattle from the Bay Area where she had served as general partner of the California Clean Energy Fund (CalCEF) since its formation six years ago. 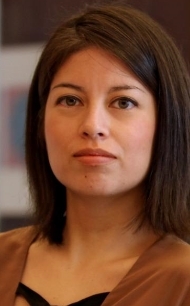 Pipeline Fellowship founder and CEO Natalia Oberti Noguera explained in a telephone interview that women who want to participate in the bootcamp must be "qualified investors," pay $4,500 to join the six-month program and commit two full days a month to learning about and getting comfortable with the process of angel investing. She said the bootcamp includes presentations from various female entrepreneurs seeking start-up capital and at the end of the program, participants will each commit to invest. Each Pipeline Fellow commits to invest $5,000 in the same woman-led for-profit social venture at the end of the program. The coming of the Pipeline Foundation program to Seattle will represent a reunion of Preston and Oberti Noguera because it was at a seminar Preston was conducting for the Angel Resource Group where Oberti Noguera was a student first learning about angel investing. Preston, who has written a couple of books including Angel Investing for Entrepreneurs, apparently was a good instructor because it was soon thereafter that Oberti Noguera, at the age of 27, founded the Pipeline organization. Its impact and her successes have led to her being named last year as one of the "30 most important women in tech under 30" by Business Insider and being featured in the New York Times, Fast Company and onLatina.com's "25 Latinas Who Shine in Tech." Oberti Noguera said women with the means to be investors "need to get much more comfortable with investing, not just donating," a reference to the practice of many such women to be philanthropists. The requirement that the women be "qualified investor" means each must meet the requirement of the Securities and Exchange Commission of having a net worth of $1 million, excluding primary residence value, and have annual income of $200,000 a year, or $300,000 in couple income. Women entrepreneurs need to pay a $40 application-processing fee for the chance to secure funding at one of the organization's "Pitch Summits." Oberti Noguera explained that companies eligible to apply to be part of a Pipeline Fellowship Pitch Summit must be co-owned or founded by a woman, have a for-profit legal structure, have a social or environmental mission and be a U.S. company. She says the outcome of the Pipeline Foundation efforts has been to "activate more local women angels in the cities where the foundation is operating and to create more capital for women social entrepreneurs." Seattle is one four cities where the Pipeline Fellowship will launch in the coming months, with Los Angeles, Austin and Miami, along with Seattle, joining Boston, the Bay Area, Chicago and Washington, D.C., as locations that will help women of wealth begin to focus on how to invest in women entrepreneurs. .Both Oberti Noguera and Preston described the launching of pipeline-Fellowship investing in Seattle as an important milestone, noting that alumnae of the program have gone on to join later-stage angel groups, and have shared their conviction that the angel-investing bootcamp gave them the confidence to take that bigger step. "Seattle was ranked as the third best city for women entrepreneurs by one national organization and our presence will create additional funding for women led, for-profit social ventures," said Oberti Noguera. The decision to launch in Seattle came after an event here last June to discuss such a step in a session at which Seattle attorney Barbara Prowant, who is president of Seraph Capital and has been a leader in efforts to increase diversity in the V.C. and angel communities, keynoted. Oberti Noguero, who says that while she is a connection rather than being an angel investor, joked during our phone conversation that as a woman who is half Italian and half Columbian, she believes in "the hybrid business model." With respect to Preston's forthcoming award, it is to honor an American businessman or woman for outstanding accomplishments in promoting a favorable environment for the small businesses of America. "I am particularly pleased to have the Council recognize the value that is provided by angel and other early-stage investors, whose, high-risk capital is essential to build a strong start-up business environment," said Preston. More than a quarter century after he left the restaurant business, former western cattle rancher Stuart Anderson's name remains the iconic brand on the concept of affordable steakhouses. And on April 1, Anderson, now 91 and retired with his wife, Helen, to a condo in Rancho Mirage, CA, will mark the 50th anniversary of the opening of the first Stuart Anderson's Black Angus near the Seattle waterfront. That first restaurant, in 1964, became a chain of 110 steakhouse restaurants across 19 states, each restaurant bearing the Stuart Anderson's Black Angus name and menus with the icon that became known affectionately as "the square cow," a squared cow's head inside a square frame. The image has changed but the Black Angus part of the name, as well as the explanation of Anderson's philosophy in launching his steakhouse concept, are still touted on the menus at the 45 Black Angus restaurants, now owned by Los Altos, CA-based American Restaurant Group in six western states. I visited a couple of weeks ago with Stuart and Helen, his wife of more than 40 years, at their condo, looking west toward the San Jacinto Mountains. Anderson sported his signature mustache and cowboy hat, anxious to discuss his new book, which won't be out in time to mark the half-century milestone. In fact, neither was certain what kind of a celebration of the special anniversary might be planned by the owners, but both enthused about the opening last month of the latest Black Angus in Brentwood, CA, where the chain brought him to be on hand and introduced. "They still remember me," he laughed. "He was the star of the event," said Helen. He wanted to talk about the book, Corporate Cowboy, the story of how he built the restaurant empire that became a national company with 10,000 employees and annual revenue of $260 million. It's actually a longer official title: "Corporate Cowboy Stuart Anderson: how a maverick entrepreneur built Black Angus, America's #1 restaurant chain of the 1980s." Anderson speaks and moves slowly from the effects of a stroke he suffered five years ago but retains a firm gaze under the brim of his cowboy hat and a sharp mind. Helen refers to the recovery by the man she refers as "my cowboy" as "miraculous." The book unfolds, as did his first one a couple of years ago, by his dictating to Helen or, if she's not there at the time, using a recorder from which she later transcribes. He first tried his hand as an author when he produced "Here's the Beef! My Story of Beef, " a book he described as "fun and informative" that sold thousands of copies in the Black Angus restaurants. The book was meant to be an answer to the highly popular McDonald's commercial in which an elderly lady asks: "Where's the Beef?" Anderson recalls that he was already in the business in Seattle, owning a hotel and a restaurant, but says he much preferred the restaurant part of the business. "A one-price steak, with six choices of cut, for $2," he recalls. "We got the meat from Australia, which had to be tamed a bit when it got here. We soon raised the price to $2.95 for a full dinner with a good steak." The second Black Angus was opened in Anderson's hometown of Tacoma and it turned out to be a disaster, what Anderson now describes as a "dumb decision." But the third, in Spokane, proved the validity of the concept and it remained for years the most successful restaurant in the chain. Expsansion to other states followed, starting with California where San Diego was the launch city. It was in 1987, after five consecutive years of his Stuart Anderson's Black Angus restaurants being named the top steakhouse chain in the nation in a poll by industry publication Restaurants & Institutions, that Anderson retired from the business. By then the chain he had sold to Saga Food Services more than a decade before that had been in turn sold to Marriott Corp., which decided it didn't want the restaurant part of Saga's business and the unbundling made it not fun for Anderson any longer. He said he was working too much and traveling too many hours. So he and Helen retired to his 2,400 ranch sprawled along Interstate 90 west of Ellensburg. He had bought the ranch in 1966 with the intent of raising the black angus cattle that would be served at his restaurants. But it turned out to be too great a challenge, for various reasons, so he continued to raise the cattle until he sold the ranch to Taiwanese interests, though to most travelers going past, it remains the Stuart Anderson ranch. It was an effort that didn't last long, with Helen recalling that "after the Black Angus closed, Stuart thought he'd be helping the economy and jobs by re-opening the restaurant." "After negotiating the lease, we opened in late February of 2010. Stuart decided he was definitely too old to be back in this business," she said. "He jokingly said he forgot more than he knew, so in 2012 we were approached by a group who wanted to buy our lease and we were happy to accommodate them." With a growing number of states enacting laws that allow companies to put a social purpose as a higher corporate calling than shareholder benefit, there's an emerging disagreement among proponents of such legislation over whether it should require, or merely permit, companies to have the social purpose dominate in executive decisions. The initiatives to allow a higher purpose than shareholder value was in response to the traditional corporate-law constraints that make it the fiduciary duty of officers and directors to operate with the underlying assumption that their role is to maximize shareholder profits. Washington was one of the first states to provide for-profit companies a legal status for a social focus, under the legal designation Social Purpose Corporations. As of March 1, 89 companies had filed as SPCs under the two-year-old legislation that permits companies' decisions to go beyond maximizing financial results to include positive social or environmental impact. And Oregon's legislature passed a law this session to provide for "B Corps"(benefit corporations) and state Rep. Tobias Read of Beaverton, co-sponsor of the legislation, described it as designed to "legally protect companies that want to strive for more than just profits." The law imposes much tougher requirements on companies to make the social purpose pre-eminent. The two Northwest states point up the different approaches to the goal of allowing otherwise traditional for-profit corporations to have a higher standards of corporate purpose, accountability and transparency. California actually has two social-benefit statutes, one called the "flexible purpose corporation" that emphasizes companies may take a stated social purpose into account in corporate decisions, and the other providing for a Benefit Corporation, imposing a requirement for the role of stated social purpose in decisionmaking. Proponents of the flexible form of legal filing say it seeks to "unleash directors from the risk of liability while permitting them to experiment more broadly with the right mix of doing well and doing good, without concerns of personal or corporate suits." The benefit corporation law, under which virtually all California companies have filed, is based on the model Act created by a 501C3 called B Labs, co-founded in 2006 by Andrew Kassoy, who sought to create a "social hybrid" corporate structure movement. Kassoy, who had a career as a private equity investor and most recently was a partner at MSD Real Estate Capital, part of the investment vehicle for the assets of Michael and Susan Dell, says his goal was to make it easier "for all of us to tell the difference between 'good companies' and just good marketing." All states require, as part of the benefit-corporation filing process, a third-party certification and verification for the chosen social purpose of a company and B Labs plays that role for businesses in 19 states with the Benefit Corporation model, which is a legal status like C Corp, S Corp of LLC. Every benefit corporation is required to publish publically an annual benefit report that includes "an assessment of [its] overall social and environmental performance against a third party standard." Kassoy is critical of both California's flexible purpose corp. legislation, whose sponsors are now seeking to amend it, and Washington's statute. "I think that both miss the mark because by creating a 'may' instead of 'shall' standard and by failing to require transparency about the overall impact created by the company, investors and other stakeholders don't have something clear to rely on," Kassoy said in telephone interview. "That creates confusion, suspicion of potential 'greenwashing,' (a term used to deride bogus environmentalism or social causes) and therefore impedes market adoption." But Peter Smith, a partner in Seattle-based Apex Law Group, disagrees, while saying he is "a big fan of what B-Labs is saying and doing," but adding "I think Washington got it right by making it about flexibility, making the legislation permissive rather than prescriptive." "What this legislation really is about is providing officers and directors legal cover in the event they make decisions based on the stated social purpose of the company," he added. What the Washington legislation provides is that officers and directors of SBCs shall act in the best interest of the company, but may take into account social purposes. Paul Shoemaker, who founded Social Venture Partners and now carries the title Executive Connector, suggests the emergence of the ability of companies to provide for a social purpose is part of an expanding array of ways "to fund, invest in and sustain social programs in the community." "The most exciting, potentially impactful thing about all this is it's part of a more diverse, wider range of capital and funding mechanisms coming into play for businesses," he said. Preston Thompson, guided a variety of global-enterprise units or Boeing, ranging from production and supply chain operations to international development, last year founded VentureScale to help with a focus on "accelerating the sustainable growth of ventures." After leaving Boeing, Thompson had already founded a non-profit to create education opportunities in Afghanistan and a business making clean cook stoves for the developing world when Washington's legislation was signed into law. Thompson founded VentureScale as one of the first 50 businesses formed under that legislation with the goal of helping to accelerate the sustainable growth of social ventures. "Gauging the success of a business strictly by evaluating standard bottom-line profit isn't enough," says Thompson. "Maximizing shareholder value and evaluating overall contributions should include social and environmental returns in addition to financial returns." None of the nearly 1,000 social-purpose designated companies in the nation is publicly traded, but advocates of the designation insist that as the trend continues, companies seeking equity capital and focusing on eventual exit strategies will become increasingly appealing to investors. Stephanie Ryan, B Lab's senior associate in the Northwest, sees banks as particularly attractive candidates for Benefit Corp status because of the traditional focus of community banks on serving their local areas. She says she is currently in conversation with an Oregon bank about converting to that legal status, which requires a two-thirds vote of shareholders. Kristopher Lofgren, owner of an Oregon business called Bamboo Sushi, commented after passage of the Oregon law on its importance to the image of business as well as its community value. "What a lot of people don't realize when they look at the CEOs of companies as despicable people who make these decisions about money, money, money is that the laws are actually written so that's all they can do legally," Lofgren said. "They can be sued and lose their jobs, and the company can go under if they don't. B corp is allowing another voice to come into that fray." Renowned blown-glass artist Dale Chihuly is creating an exclamation mark for the role of the 12th Man in the Seattle Seahawks' Super Bowl victory by crafting a dozen Seahawk-color seaform pieces to be sold or auctioned to benefit Seattle Gilda's Club and its cancer-support network. And the Seahawks will be closely involved, led by star wide receiver Golden Tate. With a grandmother who died of breast cancer, Tate quickly became a supporter of Gilda's Club after learning of its work, and then attracted his teammates to play in the annual Gilda's golf-tournament fundraiser. The Chihuly dozen will be replicas of the blown-glass piece by Chihuly that was a key in the wager between Seattle Mayor Ed Murray and his Denver counterpart and was to be auctioned off to benefit Denver homeless in the event the Seahawks lost. The sale of the Chihuly pieces will be the pizzazz for Gilda's club visibility this year. But visibility of a different and more lasting sort is growing within the healthcare community in the Northwest in the past couple of years because of the club's focus on the emotional impact of cancer on the sufferers and their families. Cancer-care medical centers are coming under increasing pressure to provide services beyond the medical to the whole patient, as well as patient families. And that has opened a new door for Seattle Gilda's Club, which now has contracts with three area hospitals to provide those services, often referred to as compassionate care. "We now have contracts to provide services to Overlake and Children's hospitals and the Muilticare system, which encompasses Auburn, Gig Harbor, Puyallup and Tacoma," Gottlieg noted, adding that the arrangements represent 20 percent of last year's revenue for Gilda's Club. And the programs Gottlieb's organization is putting in place, both in the community and with the hospitals, are bringing a much broader awareness of Gilda initiatives that have been unfortunately little known to the general public until recently. Seattle Gilda's Club was founded in 1996 by Anna Gottlieb and the doors to its building opened five years later, the first Gilda's Club in the West. Gottlieb explains her commitment to the Gilda's cause, including weathering the years of financial struggle, by recalling that her mother had breast cancer "and no place to go, no one to talk to. I was 12 at the time and that sort of thing sticks with you." It was the bond of both having endured their mothers' cancers that brought Dr. James Bianco, the CEO of Cell Therapeutics Inc. (CTI), to become the major business-community force behind Gilda's, including bringing business practices to the operation of the non-profit. He had known Gottlieb from her involvement with the Fred Hutchinson Cancer Research Center, where Biano had been a doctor working with Nobel Laureate Donnell Thomas before he launched CTI, which is seeking to create a range of oncology products. Mike Kunath, A principal in the Seattle-based investment advisory firm of kunath Karren Rinne and Atkin LLC, was among those introduced to Gilda's Club by Bianco and he has helped Gottlieb with the business focus. "Until now Gilda's Club has been largely unknown and under loved, but that's changing," said Kunath. "Now when cancer strikes a family, the second call is likely to be to GC." Now back to the Chihuly glass pieces. Bianco developed a close friendship in recent years with Chihuly and in a dinner conversation that included Golden Tate about an event to provide financial support for Gilda's Club, Bianco threw out the idea of doing 12 glass pieces in honor of the 12th man. Tate quickly bought into the plan, Bianco recalls. "I asked 'what if your studio could do 12 of the Seahawk-color seaforms and announce that Golden Tate, Russell Wilson and Richard Sherman invite you to a special event?'" He said Chihuly instantly agreed, but wanted to get the $10,000 price the seaform pieces usually go for. "I said we needed to start the prices on them at $12,000, keeping with the 12th man theme of it all," Bianco added. A date for the event hasn't been pinned down, but will likely be in May. They also don't yet know whether they can do an auction of any of the pieces because of uncertainties relating to use of the 12th Man beyond the Seahawks reach. In discussing the challenges facing hospitals, Gottlieb says "Health care systems do not do a good job of assessing distress in patients and need to pay more attention to the whole patient. We can help with patient satisfaction and help medical centers keep their own patients. We can take the burden off hospitals and workplaces." "Patients are unhappy with their care and are demanding more services," she says. With respect to the emerging program opportunities for Gilda's, Gottlieb says "Our strongest programs are in the education arena. We have lectures, put together symposiums on all cancers, facilitate workshops and we take lectures out in the communities. We have been to Bellingham, Bremerton, and all over the South Sound." "We run the only summer day camp in the Northwest for families living with cancer," she added. "We do camp for three weeks in the summer for kids, ages 5-12, who have a parent with cancer or have lost a parent to cancer, and we do a cancer program for the kids. We are now doing the camp in in Tacoma and will soon branch out to other locations around the State." In addition to overtures from cancer-care hospitals elsewhere in Washington, and in Oregon, a group in Eugene has been pressing Gilda's Club to extend its presence there. And Gottlieb says she has now been in communication with cancer-care facilities beyond the Northwest. And one program Gottlieb is hopeful of taking nationally. "We started a writing contest for teens with cancer or who have a parent or friend with cancer," Gottlieb said. "We have collected over 1,500 essays and we have given out scholarship money, over $75,000 in the past seven years." My goal is to take this to a national level. Looking ahead, Gottlieb suggests "Our biggest area of future growth may be in the survivorship area, which is screaming out for help. Particularly with what patients call 'lost in transition.'" "Patients are released from care with no plans, no idea of what is next and symptoms can linger for years and years," she says. "Cancer is now a chronic illness for many and they still need help long after diagnosis, areas where we can really step in and help with more education and address many issues, since patients need help finding their new normal and navigating their way back to work and relationships and life in general." As the winter Olympics unfold in Russia, a group of prominent Washington State residents has gotten behind an effort now in its final stages to attract Olympic Games of a far different sort to Seattle. Seattle is among a handful of cities that have submitted formal bids to host the 2018 Special Olympics national summer games, which would represent not only a major economic impact for the Seattle area but provide a fitting showcase for Special Olympics of Washington (SOWA). Special Olympics Washington is a national trendsetter of the organization founded in 1968 by Eunice Kennedy Shriver and the Joseph P. Kennedy Foundation as a movement to change the world's view of the intellectually disabled. Special Olympics has since become the largest sports organization in the world, involving 3.5 million athletes in 160 countries. Beth Wojick, who in December marked her fifth anniversary as CEO of Special Olympics of Washington, has brought an evangelist's conviction about the role sports can play in enhancing the lives of the intellectually disabled. But she is also a tough-minded critic of those who would diminish the importance of the organization's mission and she has done battle to grow the Washington organization's impact across the state. 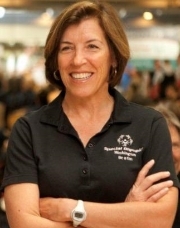 As a result of her single-minded focus, Special Olympics of Washington has distinguished itself among its peer groups from other states, prompting special praise from Robert Gobrecht, regional president for the U.S.
"Beth has transformed Special Olympics of Washington and is one of the rising stars in the movement," said Gobrecht. "In her five years, Beth turned around the chapter's finances, engaged the major school districts in the state to actively promote UnifiedSports and personally developed a North American partnership with MLS ( Major League Soccer) for Special Olympics international." The MLS reference was to an arrangement Wojick worked out with the Seattle Sounders that represented the first partnership between a Special Olympics group and a Major League Soccer team. In essence Wojick's organization and the Seattle Sounders wrote the playbook for what has become an international partnership arrangement after the two organizations held seminars for MLS teams and Special Olympics groups on how to carry out the partnerships. Last spring a tournament was held in San Jose, Costa Rica, for Central American teams composed of both intellectually disadvantaged and typical players, with the U.S. squad featuring eight Special Olympics athletes from Seattle and Portland and eight Seattle Sounders FC development players, who serve as the Unified Partners in the tournament. Teams made up of intellectually disadvantaged athletes and typical athletes are called Unified Teams, a concept that has become the trademark for successful Special Olympics programs around the county. The concept has been around in the Special Olympics organization for eight years, but Wojick and her state organization have taken the concept deeper and wider than in other states. And the depth of Wojick's belief in the importance of the Unified Teams program is evident when she talks about it. "I've seen firsthand that when typical kids play on the same teams as intellectually disabled kids, magic happens," she enthused. "When pep rallies occurred in the past, our guys would be sitting in the back in the dark. Now they have uniforms on and they have friends in the school who are going to protect them. Now they are somebody." Special Olympics Washington has also become a leader in a program called Young Athletes that engages both parents and athletes at a very early age, aimed at getting the athletes between the ages of 3 and 7 playing in a sports environment. The Washington program is the second largest in the country, involving 4,000 young participants. The formal bids for the 2018 national games went in on January 31 to the national organization. Seattle's thick binder contains supporting letters from, among others, Gov, Jay Inslee, Sen. Patty Murray and two members of the state's congressional delegation, Rep, Dave Reichart, who has been involved with Special Olympics for more than 20 years, and Rep, Cathy McMorris Rogers, who has a son with Downs Syndrome. In addition there are letters from business and community leaders. The bids site committee will visit Seattle in April and decide in May on the city that will host the 2018 games, a prize that Wojicksays will carry significant economic impact. 'This takes four and a half years to organize, is a $10 million event that, by comparison, is twice Seafair's size, and is estimated to have an economic impact of almost $120 million," she said. The seven-day event involves 3,500 athletes and 1,000 coaches in 16 sports. Winning the bid for the 2018 games would be a fitting reward for what Wojick has built since assuming the post for which she got a personal request from Gobrecht, to undertake. 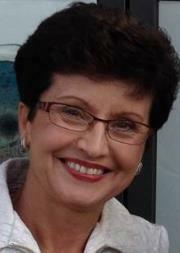 Gobrecht, then president of Seattle Seafair, had hired Wojick out of college in 1988 and she followed him to the Seattle Mariners when Gobrecht became marketing vice president. Wojick returned to Seafair as president when Gobrecht left the Mariners and she was later lured by the Seattle Seahawks to head corporate relations. Wojick recalls that when she first assumed the CEO role, she asked what we were doing in public schools. "The answer was nothing," she says. "They didn't want us. They said they couldn't do Special Olympics. So I began what amounted to hand-to-hand combat." What changed, she says, was that she started approaching the athletic directors rather than the administrators and took a Special Olympics athlete from another school district who was wearing a letter jacket. "The athletic directors would instantly have a sense of 'why aren't we doing this?' and they became our spear carriers for the program," she says. "What they understood was the Unified Program offered a chance for everyone to play." "Now the school districts that have signed off view it as a program they thought of, and that's fine," she smiled. "We have programs year-round in 16 Unified sports and most of the state is involved." Asked if there was anything that surprised her when she first took the CEO's role, Wojick said there were two things. First the size of the organization internationally. "Second was that the athletes quickly learned my name," she said. "They all know who Eunice Shriver is, and they all know who I am. I am a hero to them, which is strange because they are my heroes." When the ski jumping competition commences at the Sochi, Russia, Winter Olympics, some in the Bavarian-themed town of Leavenworth will recall the role their Cascade-mountains community once played in preparing U.S. participants for competition in that event. And at least one long-involved resident thinks that Leavenworth's historical ski jumping role should come again. The keeper of the ski-jump flame for Leavenworth is, appropriately, Kjell Bakke, 80, whose father, Magnus, and uncle, Hermod, Norwegian immigrants, built the original 90-meter ski jumping hill in 1933, designing the jump and overseeing the volunteers who constructed what has ever since been known as Bakke Hill. With its critical point of 73 meters, Bakke Hill was then one of the largest ski jumps in the country and was enlarged several times thereafter, gaining a reputation as the best ski jump in the western U.S. and hosting its first U.S. championships in 1941. Then after an unusually heavy snowfall caused the collapse of Bakke Hill in 1956, its reconstruction by community volunteers opened the door for hosting the U.S. championships in 1959, 1967, 1974 and 1978. But emerging new standards and development of other areas as year-round facilities left Bakke Hill to go into decline and disrepair in the years following. Leavenworth, now a bustling tourist town of 1,900 that hosts thousands of visitors, went through its own long decline before reinventing itself as a Bavarian village, with all buildings in town fitting that theme in the community nestled amid the Alps-like surrounding peaks of the North Cascades range. Rebuilding the nationally known ski hill on the mountainside north of town may prove to be a more elusive dream. But Leavenworth's rich skiing history will be appropriately celebrated February 8, just as the Sochi Winter Olympics get under way, when the Northwest Ski Hall of Fame will be opened in temporary quarters at the lower lobby of the Enzian Inn in Leavenworth. As Bakke's wife, Georgia Bakke-Tull, who is heritage director of the Leavenworth Ski Hill Heritage Foundation and current project director for the Northwest Ski Museum & Northwest Ski Hall of Fame, notes, there will finally be a home for the hall of fame honorees. A total of 70 from around the Northwest, including Oregon and British Columbia in addition to Washington, have been inducted since 1990. Five of the inductees are from Leavenworth, her husband, Kjell, and his father and uncle among them. In fact the Bakke brothers, along with a ski promoter named Earle Little, are in the national Ski Hall of Fame. As Bakke-Tull notes of Little: "Though no one can affirm that Earle was ever on skis, his business management abilities brought enormous impetus to the early days of ski jumping," including working to invite international ski jumpers to Leavenworth and working with coaches across the Northwest to bring ski-jumping exchange students to the U.S.
As to the possibility of restoring the ski jump, it was in 1999 that Bakke looked into the feasibility of rebuilding the 90 meter jump and learned that the cost to rebuild it entirely and make it the year-round facility required to compete with other ski-jump facilities in the West was an unrealistic $5 million. So the dream went on the back burner. But still Bakke nurtures the dream as the area's youngsters and others participate in jumping activities that his efforts have made possible. Training hills of 15 and 27 meters that Bakke conceived and oversaw construction of after his retirement and return to Leavenworth in 1993, along with a cable lift for the jumps funded by prominent Leavenworth resident Harriet Bullitt, have provided training for jumpers since 1997. And three years ago the first Bakke Cup was held to foster competition among the Leavenworth children and teens in alpine skiing, cross-country, and importantly, ski jumping. Bakke himself began skiing around Bakke Hill at the age of three, beginning in 1936, the year the year the Leavenworth Ski Hill Lodge was built by the CCC. "Leavenworth has always been an ideal location for ski jumping,"says Bakke, adding "many of us would like to see jumping return to Leavenworth, but there are feasibility concerns." "Today's standards would require a year-round-use hill, probably snow-making abilities, and the cost of reconstructing the hill to current standards and the annual maintenance and operations costs would be sizable." "Certainly not impossible, but it would take sizable effort and funding," he said. I'm hopeful the younger generation will be inspired to regenerate what was here in the past and make it even better." Leavenworth has had strong connections with the Olympics beyond the pre-Olympics jump competition events it has hosted. It has had a number of Olympic team members, most recently, cross-country skier Torin Koos, who qualified for the past three U.S. Olympic teams. And perhaps the most famous ski jumper from Leavenworth is former United States Olympic team member Ron Steele who was the best-placed American jumper in the 1972 Sapporo, Japan Olympics. Meanwhile, Bakke-Tull continues the quest for a permanent museum-quality facility in Leavenworth for the NW Ski Hall of fame. "We are in conversations with another recreational group inLeavenworth in hopes of working together on the development and building of a facility that would be green built, self-sustaining and serve as a museum and an educational facility to be used for educational endeavors including climbing and rescue/medical assist training," she said. A proposal that would permit entrepreneurs to raise up to $1 million a year from small investors through what's known as crowd funding, which is seen as a tool to both facilitate the launch new companies and create jobs, will get its initial hearing before the Washington Legislature the end of this week. Washington is among a handful of states where lawmakers have decided that no matter what finally happens with long-awaited implementation of a federal crowd-funding law, they want to move ahead at the state level to open new funding doors for entrepreneurs and startups. And the scheduled hearing Friday may suggest there's some momentum to get the bill passed soon. The bill (HB2023) is viewed by legislative supporters, and there is no visible opposition, as "a tool for small-business growth all around the state" as well as a potential lure to attract would-be entrepreneurs in other states to move here to launch their business. Only state residents could raise equity under the proposed law and only state residents could buy shares in the companies. The federal crowd-funding legislation was passed by Congress in the spring of 2012 as the JOBS Act and directed the Securities and Exchange Commission to come up with the rules that would allow entrepreneurs to begin raising funds under the act. The SEC has moved at a glacial pace in implementing the rules and may still be as much as a year away from final approval to allow crowd funding to begin. If supporters of the bill in the Washington Legislature are successful, the state measure will become law and create the opportunity for entrepreneurs in this state to begin using crowd-funding to raise money from large groups of small investors, primarily on the Internet, before the federal legislation even becomes operative. The fact that Washington and a handful of other states are pressing ahead without regard to what happens in Washington, D.C., is an example of a growing realization that it has become more workable for legislation and regulation to be done at the state level. The reason for that emerging sentiment isn't just the gridlock that allows little to get done in Washington, but also the brainlock that occurs when something does get approved in Congress and is then turned over to the bureaucracy and regulators to implement. HB2023, sponsored by Rep. Cyrus Habib, whose 48th District spans Redmond, Bellevue and Kirkland, would like the federal act allow companies to raise up to $1 million a year from small investors. The Internet is viewed as the most likely vehicle to reach large numbers of those small investors, who would be permitted to invest a maximum of $2,000. Rep. Jeff Morris, D-Mount Vernon, a key supporter of the state legislative proposal, is one who thinks state legislation will serve the needs of both start-up entrepreneurs and small investors who would like to have equity in such companies better than the eventual federal act. "The federal crowd-funding law, even once rules are in place, is going to require companies to work through an intermediary and is likely to have compliance expenses that will be cost-prohibitive for many start-ups," said Morris. Morris, who is a co-founder of the Northwest Energy Angels and former director of the Northwest Energy Technology Collaborative (NWETC) at the Washington Technology Center (WTC), is an angel investor far more knowledgeable on the topic of funding start-ups than might be expected of legislators. 90-day comment period will likely produce voluminous comments that will cause the SEC to extend the time when the rules actually go into effect until late this year or early next. Habib says flatly it would be "highly undesirable" for entrepreneurs to have only the federal legislation to deal with in seeking to employ the crowd-funding concept of raising money and selling equity. "I think it will be far easier for start-up entrepreneurs to deal with local regulators who, can design rules that fit our culture, that are less burdensome to issuers, and give us the opportunity to create our own fund-raising product," said Habib, a Seattle attorney who works with many small firms. Habib's first attempt at the bill last session would have imposed an excise tax of 3 to 5 percent, a tax of up to $50,000 on a $1 million fund raise, with the explanation that it was necessary to cover costs the state would incur in things like more consumer protection for investors and added costs for state oversight of the crowd-funding activity. But he has backed off of that in the current version, saying thatrather than imposing an excise tax, "we will give authority to regulators to decide what kind of a fee to impose on the entrepreneurs. The program has to pay for itself, but we decided it's best to leave that to the Department of Financial Institutions to determine what's necessary to achieve that." It was Habib who made the observation that the bill would be a tool for economic development for all parts of the state. "Using equity crowd funding for those who can't just start a business without money and don't happen to know a friendly millionaire will be a way to raise capital for small businesses anywhere in the state," Habib said. And he and Morris both suggested that small economic development organizations or chambers of commerce could serve the role of gatekeeper, meaning someone to fill the legally required role of an entity to sign off on the legitimacy of the fund-raising effort, to say it wasn't a scam or fraud. Otherwise the gatekeepers would be attorneys, accountants or similar professionals who would be involved in reviewing the legitimacy of would-be entrepreneurs. Scott Jarvis, director of the state Department of Financial Institutions, which has been working closely with lawmakers as the legislation has taken shape, says it is "closely monitoring the SEC's final action to be sure the state legislation avoids conflict with it or sends confusing messages." He said lawmakers and his department must also provide some sort of cost benefit analysis to ensure that any costs incurred by the state or the agency must be provided for and that will depend, in part, on the size of the group of entrepreneurs seeking to raise money through crowd funding. "To steal liberally from 'Field of Dreams,' there is a question as to'If we build it, will they come in sufficient numbers as to justify the costs,'" Jarvis quipped. Among angel investors in favor of the proposed state legislation is Tom Simpson, longtime venture capitalist now head of the Spokane Angel Alliance, who suggests "it will broaden the capital-formation alternatives for certain unique, early-stage enterprises not otherwise candidates for traditional angel or v.c. funding." In fact, Simpson shares the view of many angel investors that traditional funding won't likely follow crowd-funded businesses but adds "as long as everyone knows the pros and cons, I expect this form of fund raising to stimulate the growth of new, innovative businesses in this state." Sportswriters who gushed at Washington Husky halfback Bishop Sankey's performance this season that included tying the school record of 38 career touchdowns probably took no more than a moment to wonder about the guy who set that most enduring of UW football marks back in the mid-'20s. The deeds of George Wilson, who might legitimately be described as UW's first football star for his career from 1923-25 that included leading the Huskies to their first two Rose Bowl appearances, are shrouded in gridiron antiquity for most fans, who view the deeds of stars of their great-grandfathers' or even grandfathers' era with disinterest. After all, his record was established almost nine decades ago, but the curious or those hungry for a bit of history can learn about him on various websites. Those who take the time to delve into history are left to ponder Wilson's story, which epitomizes the fleetingness of fame and the fickleness of fate, as for a mere half a decade his star shone brightly on the national football stage, first as a collegian then as a highly publicized pro football player. Then, unlike some of his high-visibility football peers who managed to parlay fame into later successful careers, he personally faded rapidly from the scene, doing some professional wrestlingfor a for a few years, working in the Texas oil fields, then as a longshoreman in San Francisco, dying on the dock there of a heart attack in 1963. But in an example of the often strange links in the chain of fortune forged by fate, Wilson, at the highly publicized outset of his pro football career, set the stage for a little-noted player from Gonzaga College named Ray Flaherty to launch a professional career in which he went on to become one of the most successful coaches in the history of the NFL. Wilson, nicknamed "Wildcat," was a kid from Everett who had already fashioned a name for himself as a high school player who guided his Everett team to what was acknowledged to be the nation's best high school football two years in a row, before arriving on the UW campus. Although the Huskies prior to Wilson's arrival had some noteworthy accomplishments, including the record of Gil Dobie, whose pre-World War I teams posted a remarkable 58-0-3 record,performances in those early days in the West got little national visibility. Wilson, however, brought national recognition to the Huskies. In addition to guiding UW to those first two Rose Bowl appearances,he was a first-team All-America selection in his senior year in an all-star backfield that might vie for the best ever, a backfield that included "Red" Grange, the "Galloping Ghost" from Illinois, and Stanford's Ernie Nevers, plus Wilson. Upon his graduation in 1926, Wilson was enticed to join the just-forming American Football League (not the AFL of later decades) by the league's co-founder, who had already lured Grange to join the league as his partner but wanted a name player to compete with Grange on the field. Wilson was named president of the league's traveling team, the Los Angeles Wildcats. The league actually paid the bills and filed the franchise ownership papers for the team known as "Wilson's Western Wildcats," actually based in Chicago because of the travel difficulty of being based in Los Angeles in those days. Grange's traveling all-stars and Wilson's Wildcats actually met on the field once that season, in Los Angeles before a crowd of 70,000. While Grange's squad, which later became the Chicago Bears, won the game, 17-7, Wilson outgained Grange, rushing for 128 yards to 30 for grange. Wilson stocked his team with players from the West, including two from Gonzaga College in Spokane. In addition to Flaherty, an end, he tapped Matty Bross, a halfback, to be part of the western stars' team. Ironically, as Wilson's star would quickly fade, Flaherty, who hadn't gained much attention as a collegian at a small school removed from high-visibility opportunities, went on to make pro football his career. After his year with the Wildcats, he moved to the New York Giants, where he was an all-star end, then became head coach of the Washington Redskins, where his four trips to the NFL title game and two championships earned him acknowledgement as one of the NFL's all-time best coaches. Choosing Flaherty for his Wildcats and thus earning credit for setting the stage for what followed is a contribution not mentioned in the sports history books, and perhaps not other than this column. The AFL didn't last and Wilson joined the Providence Steam Rollers of the NFL, where he played for three seasons, including 1928 when Providence won the NFL championship and Wilson scored five touchdowns and had four interceptions to lead the team that year. There is still another irony, or perhaps small-world aspect, to Wilson's story. It's that another Gonzaga College player, Houston Stockton, was guiding the Frankfort Yellowjackets (later the Philadelphia Eagles) to the NFL title in 1926 while Wilson's Wildcats were gaining attention. Stockton's statistics as a collegian were almost as impressive as Wilson's, including a 77-0 Gonzaga victory over Wyoming in which Stockton scored six touchdowns and kicked 10 extra points. In that era when players played both offense and defense, both Wilson and Stockton were viewed as stars on defense as well as offense and were regarded as punishing tacklers. But Stockton's exploits got scant attention, being played out at a little school in out-of-the-way Spokane. His national recognition was limited to twice being named an honorable mention All-America. Stockton, grandfather of NBA hall-of-famer John Stockton, had joined the Steamrollers and was a teammate of Wilson's for the 1929 season, before he returned home to Spokane to go into business and Wilson left football to begin his mysterious decline from fame and attention. Wilson's years away from the limelight were interrupted only twice for reminders of what had been, once when he was inducted into the football Hall of Fame and in 1959 when he was invited home to UW, by Post-Intelligencer Sports Editor Royal Brougham, to be honored prior to the Huskies Rose Bowl victory over Wisconsin. Christmas season is our time to reflect on Baby Sarah Elizabeth and her "gifts"
Newborn Sarah Elizabeth brought our family a special magic that Christmas season of 1973. Her arrival four days before Christmas carried a particular excitement for 6-year-old Meagan and 4-year-old Michael that even surpassed the thrill of the packages under the tree. They'd sit on the couch and push as close as possible to mom and look on with fascination as Betsy held and fed the baby. It was Sarah's only Christmas. The daughter who would be celebrating her 40th birthday this weekend died of Sudden Infant Death Syndrome exactly two months after her birth. The passage of time has slowed the frequency of Betsy and my trips to the cemetery to visit her gravesite on her birthday to place a small tree on her "little angel" stone and reflect on what she would be like at that moment, first as a child, then a teenager, then as an adult. But we'll do so this year in honor of this special would-have-been birthday celebration. Perhaps because our visits to Sarah's grave and reflections about her occur during this season when love, caring and hope are the focus, we long ago came to believe that good came out of the pain of losing her, Sarah's "gifts." The first good was our involvement, in an effort to bring meaning from her death, with the state SIDS organization. Initially we sought support in our pain, and an understanding of the disease entity that had taken our baby, then eventually giving back by supporting other SIDS parents who needed help coming to grips with their loss. We learned you take, give back, then move on, as time allows painful memory to be replaced by loving memory. Betsy and I, after taking support from the SIDS group and learning about SIDS as an incident that occurs without warning and for which parents are not to blame, became part of the support group for other parents. I eventually became president of the state SIDS chapter and spoke to groups of parents around the state. We made lifelong friends among the healthcare professionals andSIDS parents. The former included Bruce Beckwith who was with Children's Orthopedic Hospital in Seattle and Abe Bergman, then assistant director of pediatrics at UW, who devoted their lives to assisting parents while seeking answers to the why and how of SIDS. The friends included the late State Supeme Court Justice Fred Dore and his wife Mary. Dore, as a state senator, and his wife, a forceful business professional, helped bring about state legislation that helped ensure that parents who had lost a baby were not treated as criminals. Reflecting on Sarah has caused me to reflect anew on SIDS itself. Because SIDS was, and remains, a disease entity that strikes infants without warning and with a cause unknown, it has remained fertile ground for what Bergman always referred to as "the theory of the month" that would pop up and get media attention. As a journalist with UPI then, I was able to touch base with experts and shoot down, with offsetting visibility, the cockeyed theories, each of which would bring renewed pain to parents who, despite logic, often harbored a sense of guilt that they were somehow at fault for their infant's death. Those recent thoughts about what's up currently with SIDS led me to contact Bergman about any progress with the disease. "There is some good and some bad," he offered, noting that there is some solid research in neurophysiology and genetics into "specifically what happens to the brain centers controlling breathing and sleep during the body's shift from fetal mode to regular mode between the 2nd and 4th month of life." But he noted that the research is into learning to understand the mechanism of how it happens, adding "prevention is quite another thing." "A reversion to the attitudes held by coroners and medical examiners 40 years ago, which I call 'the revenge of the forensic pathologists,' many of whom always felt that parents were killing their kids," Bergman said. Bergman, now 80, joined with Beckwith in the 1960s to wage a national campaign that led to research, changed medical and law-enforcement practices and actually gave what was, at best, called "crib death" the medical name Sudden Infant Death Syndrome. "The disappearance of parent-advocacy groups and the fact there's no longer strong leadership to take the offensive on this has left pathologists not cowed anymore," says Bergman, who still writes in national medical journals to try to call attention to the problem of a professional reluctance to use the SIDS diagnosis. "Yes, there are fewer actual SIDS cases, but the biggest reason for the 'reduction' by far, is a return to the dreaded words to explain the deaths: suffocation, asphyxiation, strangulation, and most commonly, 'unknown,'" he said. "There are several counties in Washington State where the term SIDS is never used," he added. But he emphasized that the King County Medical Examiner's office "has not fallen for that garbage. Under the leadership of Dr Richard Harruff, the Medical Examiner's office demonstrates how scientific rigor and compassion to families can go neatly together." The most important "gift" that came following Sarah's death was that two years after she died, we had another baby girl, one who might not have been planned if there hadn't been a void for us that needed filling. Eileen Elizabeth had a special role as a "subsequent child," well-discussed in literature provided to SIDS parents. For the first fewmonths, I would creep into her bedroom to check her as she slept, wanting to be sure that if she too became a SIDS baby, that I would be the one who discovered it. Eileen has grown to adulthood, now herself the mother of three girls, including Sarah, her first born. She has occupied a special place in the love and affection we have for our children, not as our Sarah's replacement but as her own special person. 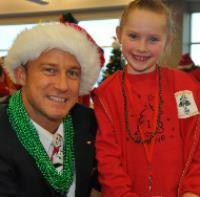 A unique example of the Magic of Christmas will be in evidence in Spokane on Saturday when 66 disadvantaged kids plus their personal elves and a supporting entourage board one of Alaska Airlines largest and newest 737-900s, designated "Santa 1," for a Fantasy Flight to the North Pole. 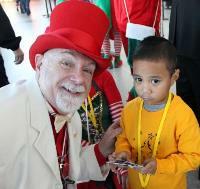 But the excitement that surrounds Spokane International Airport for this annual event transcends even this special holiday and instead represents the "magic dust" of human caring that settles over airline employees and the local volunteers who make the kids' trip of a lifetime possible. from both Alaska and Horizon Air joining the organizers, has taken off for a 40 minute flight with the kids ages 4 to 10 who are chosen from shelters and community programs in Spokane and Coeur d'Alene, Idaho. And it will be the third year that Eric Hrivnak, an Alaska pilot for more than 13 years, has been the cockpit guide for the flight to Santa's home. He says he decided early on that "I could make it a lot more fun," but confesses he's "never seen anything like what happens with these kids. I saw a counselor crying as she told me of one of her foster kids, 'It's the first time I've ever seen him smile.'" Steve Paul, president of Northwest North Pole Adventures, the 501c3 that he has guided for more than six years as the organization that puts on the event, explained that the children selected each year are homeless or from transitional living centers or adoption groups. Each child, as they all get off the bus that has picked them up for their trip to the airport, is greeted by their personal elf and given a t-shirt that says "I believe" on the front and "I've been to the North Pole" on the back. Each also receives a special-issue passport with their picture and the picture of them with their elf. The kids pull down their window shades, do a chant, each waves a magic light wand they were given as they boarded and then Hrivnak deploys the engine thrusters when Santa and Rudolph appear on the radar screen, providing the confirmation that the "Santa 1" flight has entered North Pole airspace. Minutes later, the plane lands and the kids have arrived at the North Pole -- in reality, a decorated hangar at the far end of the Spokane airport. The kids leave the plane and walk with their elves down the red carpet, lined with more elves on both sides, and then encounter a fantasy come true: a magician, musicians and face painters, as well as an endless supply of snacks, games, and arts and crafts, plus live reindeer. And, of course, each child receives some specialone-on-one time with the Man himself. That visit with Santa is made forever memorable for each child because, as Paul explains, they were all asked for a list of what they'd like from Santa, and "we took those lists and bought each of them a toy from that list. So as each child tells Santa what they want, he can reach into his bag and pull that present out for them. The looks on their faces as he hands it to them is just priceless." Bobbie Egan, Alaska's media relations director who participated in the flight last year for the first time, said "I was moved beyond words. Once you see how the lives of these kids are impacted by this experience, the temptation is to want to do it everywhere." Local Spokane area visibility for the annual event has helped grow cash and in-kind donations to a budget of $175,000 this year, with Alaska remaining the largest corporate donor, but to that has been added a new $10,000 donor and "many new $3,000-$5,000 donors," Paul said. The Spokane Fantasy Flight isn't the only one that occurs. In fact, United Airlines, which conducts such flights in 20 cities and has been doing them for 23 years, most for children with life-threatening or terminal illnesses, had 2013's first North Pole flights last weekend in Los Angeles, Phoenix, San Antonio and Cleveland. But Spokane is the smallest city in which such Fantasy Flights occur and has thus brought a community focus that would be difficult in a major city. And this is the only Alaska Airlines North Pole flight. the airport. But the event had virtually no visibility beyond the non-profits involved, at first the Spokane YWCA, and the kids and elves who participated. In 2008, Alaska leaped in to take over the event after a United snafu left no plane available for Spokane. Employees of Alaska, which of course is more familiar with the North Pole than any airline, asked "why can't we actually take off with the kids?" So in fact they did, carrying 60 kids and their elves aloft for a 40 minute flight to Santa's home. Alaska CEO Brad Tilden says the carrier loves its involvement with the event. "Reaching these deserving children in this special way touches the hearts of every one of our employees who participates." Despite the uniqueness of the event, it got no visibility until two years later when my friend, Blythe Thimsen, editor of Spokaneand Coeur d'Alene Living, told me about her excitement at getting to be an elf that year and that she'd be writing about in her magazine, providing the first media look at the event. But she was kind enough to let me upstage the magazine's publication date with my first column on the event. Two years ago, KCPQ-TV, Channel 13, in Seattle sent a crew to cover the event and produced a version for CNN, which thus brought national visibility. The first Fantasy Flight occurred in London, England in December 1991, when United Airlines donated a 727 to fly one hundred children from an orphanage to Lapland, Rovaneimi Finland for reindeer sleigh rides and a visit to "Father Christmas Village". The success of the "Fantasy Flight" concept gradually expanded to over forty six cities, providing needy and ill children with an experience of a lifetime. Few have summed up the Spokane event better than Gail Spaeth, an Alaska flight attendant who was part of the crew for the first Alaska North Pole flight: "This didn't just make our Christmas, this was our Christmas," she said. "These kids don't have much, so to be a part of something that will provide such a great memory for them is just amazing." Don Brunell's Montana upbringing in a small town near Butte, in a household where his father was both mayor and a union official and his family owned a small business, provided him a unique preparation to guide Washington's largest business advocacy organization. He early came to understood business, politics and labor from the inside, allowing him to put himself in the shoes of those on the other side of issues. His first job, as a journalist, helped him develop the abilities to observe and communicate, and a stint in the early '70s as press aide to a Montana congressman added to his understanding of the inner workings of politics. His belief in roots and relationships comes naturally for a man who grew up in a house on the same block where his great grandparents and grandparents lived and where he and his brother went door to door collecting 75-cent monthly payments from customers of the family's Walkerville Garbage Service. And the roots and the early job background were important assets for success in his role with the Association of Washington Business, helping chart the strategy for business in a state where Democrats always occupied the governor's mansion and usually controlled the legislature during his years at the helm. I visited over coffee with Brunell to get his reflections on his 28-year career with AWB, which he joined as a vice president and head lobbyist in 1985 at a time when the organization was in disarray politically and at a low point in terms of support from businesses themselves. He was named president two years later. He will move out of his office on December 20, the day after AWB closes for the Christmas holidays, he said, explaining "It would break me up to move out while all of those in the office, half of whom have been with me for more than 10 years, were looking on." And he learned this week that the board has decided to name the AWB building in his honor. But he's been staying away from the office as much as possible in recent weeks to allow his successor, Kris Johnson, who joined AWB three years ago as vice president of operations after 15 years of leadership roles at various chambers of commerce, to settle into his new role, which was announced in early October. As a member of his board from soon after he took the helm of AWB in 1987 through the 1990s, I watched him from the inside deal successfully with the often conflicting political pressures within the organization, composed mostly of small businesses but ultimately guided by the largest companies. But he handled those struggles within the business community with the same deftness with which he dealt with politicians. His philosophy on conflicts? "I try not to second guess or comment on motives; rather just deal with the issues, realizing there are differences." And as the most visible face of business in a usually Democrat-controlled political environment, Brunell frequently found himself in the cross hairs when one of the governors was riled over the business stance on a particular issue. "Most of the times, the calls from the governors came at night after I was home," he recalled. "One night, Booth (Gardner) was furious and I can't remember what the issue was. Our youngest son was about 6 at the time and answered the phone. Booth introduced himself and asked Dan if he could talk to me. Dan put the phone on the table and yelled: 'Dad, some guy names BOOF wants to talk to ya!' By the time I got the phone, Booth was laughing so hard that he asked me to stop by in the morning to talk about whatever the issue was." Brunell had special praise for Gardner's successor, Mike Lowry, with whom he had a close relationship despite the fact that many in the business community, especially small business people, viewed Lowry as the hated enemy. "Lowry would call me at home madder than a wet hen about something, particularly during the 1993 session, and some nights and I just held the phone out at the end of my arm until he had finished yelling at me." Brunell recalled with a chuckle. "So after he blew off steam, I'd go up to his office and we'd look at one another and then we'd figure out what to do," he said, adding"Lowry could blow his stack at you one day and be smiling the next. He never personalized anything, and if he said something, you could bank on it, and if he changed his mind, he'd tell you he had changed his mind." "All of the governors are different, but they wouldcall and we always had the ability to work through things," he said. "Sometimes we'd agree to disagree and move on. We were always able to avoid personalizing differences." Brunell, intended to be a teacher but after graduating from the University of Montana, he joined the Army Special Forces, then wound up in journalism as a reporter, first for the Montana Standard in Butte then the Daily Missoulian. Thus he never made it into teaching ranks himself, but is proud that five of his six children are teachers, "and their spouses are teachers." And education has remained a key involvement for Brunell. In addition to spending a week each summer as a teacher at BusinessWeek, AWB's signature summer business-education program for high school students, Brunell was instrumental in bringing the program to Poland three years ago. And each year he has personally been involved with the high school students there. 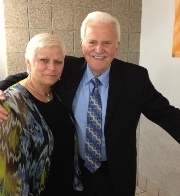 And with he and his wife, Jeri, who also grew up in Montana's legendary mining country, having 14 grandchildren, he's kept kids as an important focus, in addition to education. 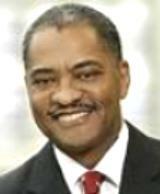 He brought AWB together with unions, trial attorneys, doctors and defense attorneys in 1995 to organize Kids' Chance, a scholarship program for spouses and children of workers permanently disable or killed on the job and has served as the organization's treasurer since its founding, with a $220,000 seed grant from Walmart. And 25 years ago, AWB launched the Holiday Kids' Tree Project, with a massive tree placed in the Capitol Rotunda each Christmas season where donations are taken to help needy families in rural Washington through firefighters and emergency responders "who have the best knowledge of those in need in their areas." I asked Brunell for his thoughts on the political scene he leaves behind. He's optimistic about the future at the state level, suggesting he sees more movement toward the political center, "which is where you have to govern from." "But Washington, DC, is real troubling for me," he added. "I was a congressional aide during Watergate, but still things got done and the parties could work together on important issues. They knew each other and spent time together." "Today, everything back there is centered on fundraising. It never stops. It is way too partisan and there is way too much money spent by wealthy groups stumping for causes," he added. "If you run for office today, count on being dragged through the mud and disgraced. Politics has always been a contact sport, but there has to be a set of rules of civility. "Also the American people are tired of being manipulated and lied to," he concluded. Joan Wallace's decade-long personal commitment to a tiny non-profit she created to help poverty-level Hispanic children in the Yakima Valley community of Granger would likely surprise many who are aware of her more visible and extensive involvement in community and philanthropic causes. Those broader commitments have marked her and her husband, Bob's, careers as principals of Bellevue-based Wallace Properties. In fact, those involvements, ranging from Seattle Pacific University and Overlake Hospital to Medical Teams International and their co-chairing of Puget Sound Blood Center's annual auction to kids-focused programs on the Eastside of King County, prompted a special recognition a couple of weeks ago. The National Association of Industrial and Office Properties honored the Wallaces with the organization's Legacy Award, apparently the first time a couple has received the honor and the first time for a woman. But despite the array of her major involvements, it probably isn't all that surprising to those who know her that she would launch and personally nurture what began as a Thanksgiving dinner conversation about the fact Granger's children would be going without their usual two in-school meals over the Christmas holidays because school would be out. And "not surprised" is probably particularly true of the several hundred people on her personal email list who got the the first appeal following the dinner conversation between Wallace and her sister in law, Janet Wheaton, then a Granger school principal. Now a letter is emailed to those who have given in the past several years and that appeal to friends represents virtually the only source of funding for Friends of Granger, the 501c3 that was incorporated following that first outreach in 2003. The amount of money raised each year isn't large, generally less than $30,000. But the money goes a long way when there's no overhead. Those who have been readers of The Harp for some time will recognize that I've written before about Wallace's unusual commitment to a small non-profit cause distant from her Bellevue home on behalf of a small community that census figures indicate is 85 percent Hispanic or Latino with the majority living below the poverty level. But it's a story that deserves retelling, and I wanted to explore with Wallace how it has gone over a decade and what lies ahead. I asked her in an interview a few days ago about the evolution of donors for the effort, which she is quick to explain isn't merely about feeding hungry children but "equally important, seeking to cultivate self sufficiency and to enable these children to finish school and break the poverty barrier." "The teachers are passionate and committed, and the parents, though poor and largely unschooled themselves, express a strong desire to ensure the education of their children," Wallace said. "An indication of this is that over 95 percent of parents in all of Granger School District showed up for teacher conferences." "We started out with a long list of donors, many with $50 to $100 donations," she said. "After a couple of years, I realized I could not handle the paperwork for all that, just at holiday season with all the other things clamoring for attention. "So I narrowed the list to people who give more," she said. "Now, after 10 years we have about 30 committed donors, the largest being $6,000. We still have some $100 donors but I'm not focused on developing this level. Some always drop off for a year or stop altogether, so I need to keep cultivating new sources." In addition to the money raised from friends, the Friends of Granger distributed grocery gift cards worth $100-150, depending upon the size of the family, with Fiesta Foods, the local Hispanic grocery, chipping in to provide holiday meal baskets at wholesale cost. It wasn't long before the holiday-food focus expanded to provide a month-long summer camp for 125 children, as well as providing for the purchase of coats, hats, gloves and sometimes shoes for children coming to school inadequately dressed. Because this little grass roots charity has no overhead, with all the clerical support and services donated, all the money goes to the families, augmented by items donated by local businesses, including backpacks from Costco. Then other initiatives followed, including facilitating the provision of computers and software, underwriting a day camp facilitated by young professionals from Bellevue's First Presbyterian Church, and Ready for Kindergarten, which teaches moms how they can best prepare their children, starting at age 2, for kindergarten. "While doing our best to take care of the immediate needs, we also believe it is equally important to cultivate self sufficiency and to enable these children to finish school and break the poverty barrier,." And now there's an effort under way, guided by Wheaton who is now federal programs director at the Granger School District, to provide the community a splash park, which are springing up in communities that can't afford a pool. Wheaton has indicated that the organization would commit $25,000 if the community would commit to providing the land, construction and the cost of maintenance. The city council is to consider the idea at a Dec. 10 meeting. Wheaton signed the donor letter this year, and noted that Friends of Granger has raised more than $275,000 since it was formed. Wallace says she would like to see the organization grow, but confesses she doesn't have the time or the energy, given all of her other commitments, to make that happen. "When I started, I thought I'd be doing this for just a year or so," she confessed. "Then I thought when I retired I'd be able to turn it over to someone else, but that other 'someone' didn't appear." When I quoted Wallace in a previous column, the most touching point for me related to providing for the clothing needs of the youngsters, because being a grandparent, I could picture the youngsters. "A lot of kids are part of large families, so they come to school in hand-me-downs, jackets with the zippers not working, and no gloves," said Wallace. "If the teacher decides a kid is in need of a new coat, they're sent to the office and the secretary takes them down to the stock room where they get to pick out a new coat." "There are 60 to 80 kids a year who wind up needing coats, so we have to buy them in all sizes, which we do at the end of a season and have them in stock for the next year," she added. Oppenheimer reflects on financial crisis, five years on, and the Dodd-Frank "fix." Deanna Oppenheimer, who saw the Seattle-based bank that she helped grow during her two decades there disappear in the 2008 financial meltdown while she was steering a respected old British bank successfully through the global crisis, thinks "a lot of good things have come out of that crisis." But the woman regarded as one of the two most powerful women in banking by the time she returned home to Seattle in 2011 after five years at Barclay's transforming the global retail and business-banking divisions of the staid 350-year-old institution, isn't sure the Dodd-Frank bill is one of those "good things." says Dodd-Frank "is excessive for everyone that is affected to fully comprehend and comply with." Officially TheDodd-FrankWall Street Reform and Consumer ProtectionAct, the bill was passed by Congress as the far-reaching legislative response to financial excesses that helped bring about the Great Recession. "The bill itself, as passed, was 848 pages compared with Sarbanes Oxley's 66 pages and 37 in Glass Steagall (the original Banking Act of 1933, written in part to address the financial excesses that led to the Great Depression)," Oppenheimer noted. "The rules written by government agencies to enforce the law have gone into a much larger number, with the biggest that I've now uncovered being up to 15,000 pages, at about 40-to-60 percent complete 3 years into the process," she said. "Any way you cut it, the legislation has resulted in more rule making than any other financial-services-regulation law by a mile," she added. 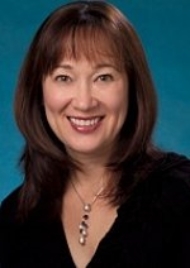 Oppenheimer, now CEO of Cameoworks LLC , a global retail and financial-services advisory firm she founded in Seattle two years ago,had joined the marketing department at Washington Mutual in 1985, five years after her graduation from University of Puget Sound, and soon began to advance through the ranks. 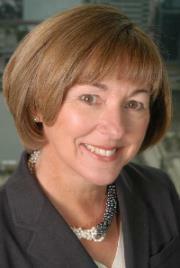 By 1990, the year Kerry Killinger was named CEO, she had become a key executive directly reporting to the man at the top, and remained a key aide to Killinger over the next 20 years, helping guide major acquisition decisions and the dramatic expansion of what had become simply WAMU, the nation's sixth largest bank. When she left WAMU in 2005, she actually departed with no specific next step in mind, but Barclays quickly began wooing her to move to London and by the third pitch, she decided to accept. I shared with her my view that two things had helped contribute to the transformation I saw in Killinger and his bank over the 15 years I knew him. First was the twin roles he held as chairman and CEO because of the way he came to wield power over his board, and the second was a board whose skills were left wanting as WAMU grew from a quiet, regional thrift to a major national financial institution. Without directly addressing my points, Oppenheimer said: "Good governance in the UK now requires separation of the two roles while, in the U.S., combining the roles is still accepted as good-governance." "But if the roles are combined, that dual role shouldn't continue on indefinitely, and there needs to be a really strong independent director," she said. "And the board needs to have regular executive sessions where CEO-chair is not in the room and board members have a chance to say to each other, 'are we feeling good about everything?'" And regarding board quality, Oppenheimer noted that one of those "good things" coming out of the financial crisis is the requirement in the UK that boards are required to do periodic self-examination. "The question in that self-examination is: does this board have the skills required to run this company," she explained. "It's not just financial-services companies but all companies." Oppenheimer has intentionally kept a low profile since her return to Seattle as she has instead sought to grow Cameoworks' list of client companies, which she described as mostly technology and retail businesses, and focused on her work on the boards of three global companies. But in addition to sitting down to visit for this column, slightly more than five years on from the Fed's seizure of WAMU and sale to JPMorgan Chase, she participated last week in Seattle on a financial-services panel exploring how financial firms might fit into the Seattle area's future. As we discussed that topic, Oppenheimer said "Seattle is not viewed as a financial-services center and traditional financial services are not going to grow here." "When business people in other parts of the world think of Seattle, they think of innovation, and when they visit here, they soon talk about customer service," she said. But she thinks Seattle could become a center for the convergence of financial services and technology, noting "Starbucks has one of the largest digital wallets, Amazon has applicable innovations and a number of smaller companies are emerging as well." As the financial comeback continues, Oppenheimer thinks a key step necessary "is getting the consistency of regulation back." "There's more unified regulation coming out of Europe," she added. "Here we need to get regulators and regulations settled into some consistency.". Asked about fear of a repeat of the financial meltdown, she said: "This scenario won't likely happen again, But what kind of possible scenario should we try to anticipate so we might plan for it? That's what we don't know." The rural Illinois town of Effingham, which might legitimately claim the title of mecca of rural economic development, and the farming-rich region of Skagit County in Washington State are nurturing programs that may help small towns send their best and brightest off for a time with the message that Thomas Wolfe was wrong. You can go home again. 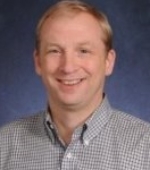 In fact, a program called Creating Entrepreneurial Opportunities (CEO) a business person-student mentorship match that was born in Effingham as the creation of retired teacher Craig Lindvahl, is aimed at guiding students to the conviction that they want to go home after college, the military or see-the-world urge. "When you successfully engage your business community, encouraging them to share their expertise with your next generation of business owners, connecting them with young people who want to know what your business people know, incredible things happen," says Lindvahl. "You'll create a community that will make your students want to come back and start businesses, work, and raise families," adds Lindvahl, with the rhetorical question: "what's the most effective and cost efficient way to approach long-term economic development? Grow your own!" The reach of the CEO message is enhanced by the fact that Lindvahl's partner in an effort that is attracting the interest of a broad range of communities is Jack Schultz, widely recognized by development leaders in smaller communities around the country as the guru of rural economic development. Lindvahl and Schultz, whose book Boomtown USA charted the rules for how small towns can become success stories, have been asked to make presentations about CEO over the past six weeks in communities from Montana to Georgia. Meanwhile, in Washington State's Skagit County, which boasts land that is rated in the top 2 percent in the world for agricultural use, the Viva Farms Incubator Program is proving that young people from rural areas can be lured not just back home, but back to the farm. The four-year-old Viva Farms project, aimed at preserving the region's exceptional farmland in the face of intense development pressure, is one of numerous programs that have sprouted to help train and provide financial assistance to a new wave of farmers. other regions are primarily attracting immigrants and young people with non-farming backgrounds, there is a growing interest for children of old farmers who are returning to the family farm with fresh ideas. Spurred by the designation from the American Farmland Trust for Skagit County as the fifth most threatened agricultural region in the nation, creators of the incubator program set out to provide new farmers affordable access to education that includes land and infrastructure, training and technical assistance, start-up loans and distribution support. Whether next-generation farmers, immigrants or non-farm young people, those involved in the incubator farm program being carried out on 33 acres leased from the Port of Skagit are pursuing farm careers as a means to embody their social, cultural, environmental and economic values, according to creators of the program. With the incubator in its first development phase, including completion of the first bilingual courses on sustainable farming and "agricultural entrepreneurship," there are already thoughtsabout expanding the reach of the program. Ethan Schaffer, executive director of Viva Farms and founder of the now-international Growfood.org, whose mission is to train a new generation of sustainable farmers and to reconnect people with farms, says other communities have reached out to get an assist to launch Viva Farm-like programs in regions across Washington State and beyond. Schaffer notes that the back-to-the-farm segment of the "student" farmers "have different values, goals and motivation in their desire to return to farming." Dramatic expansion is precisely what Lindvahl and Schultz have as the vision for their business person-student CEO program. Both men are classic examples of small-town boys make good. Schultz was born and raised in the small communityof Teutopolis a few miles from 14,000-population Effingham, located in south center Illinois, and Lindvahl, although born about 50 miles from Effingham, spent his teaching career primarily in Schultz' home town. Schultz is CEO of Agracel Inc., a growing firm that specializes in industrial development in small towns, and is chairman of Effingham-based Midland States Bank, a one-time small-town bank that has grown five-fold through expansion and acquisition to $2.5 billion during the past five years of financial turmoil. It is now the third largest bank in Illinois based outside Chicago and is about to go public. His role as CEO of Agracel, which he founded more than a quarter century ago, led him to explore the roots of rural prosperity, commencing in 2000 a three-year quest to learn what made America's hometowns tick. The research gleaned during his travels to small towns across the country led to publication of Boomtown USA: The 7 ½ Keys to Big Success in Small Towns, in which he sought to answer the question of why some towns thrive and some struggle. Publication of Boomtown USA made him probably the nation's most sought-after speaker on rural economic development over the past decade. The book is in its fourth printing and since its publication Schultz has traveled to nearly 400 communities to give presentationsdesigned to help America's hometowns realize their greatest potential. But Schultz is careful, as he discusses the CEO speaking tour, not to upstage Lindvahl, whom he takes pains to credit with having conceived and crafted the CEO mentoring concept, then recruiting him. And Lindvahl passion about CEO is evident as he enthuses about what happens when students have opportunities to learn from and interact with "lots of local business people. you change the way kids perceive their home communities. They go from 'There's nothing here for me' to "I had no idea there were so many cool businesses, so many cool people in this town!'" Since then he has been a source at various times for Harps on banking or rural economic development and, in fact, it was reaching out to him for the column last week on Global Entrepreneurship and rural economic development that led to this week's Harp. And for this Harp, I asked him if, as his bank grows byacquisitions, he still holds the view he shared with me for a column a couple of years ago about his "continuing and growing concern about the concentration of assets in the hands of a handful of bankers." "I feel that there is an ever growing need for community banks, even as we continue to see a massive consolidation taking place in the industry that has gone from 14,000 banks in the mid-'80s to less than 6,000 today," he replied. .
"The local banks are often the only source of capital for startup businesses and having that local understanding of the community is critical to making the capital allocation decisions to help those new entrepreneurs get started," Schultz added. issues people Mike Flynn Thomas Wolfe Creating Entrepreneurial Opportunities (CEO) Craig Lindvahl Jack Shultz Viva Farms Ethan Schaffer Agracel Inc.
At a time when many rural communities in Washington State and elsewhere are sensing a growing disconnect from urban centers, the most intriguing aspect of Global Entrepreneurship Week (GEW) as it unfolds next month in this state may well be the efforts to assist entrepreneurs in rural areas. GEW activities that will occur in virtually every corner of this state, events in big cities and small towns, will provide entrepreneurs an opportunity to seek advice, counsel and even start-up funding as Washington State takes a leading role in the world's biggest celebration of innovation and entrepreneurship. Most of the activities relating to GEW, which is sponsored by the entrepreneurism-focused Kauffman Foundation, are during the Nov. 18-24 designated week for GEW. The emphasis on rural entrepreneurism is due to the man responsible for the GEW events in this state. Maury Forman is senior manager at the State Department of Commerce and the state's leading advocate of rural economic development as the head of rural strategies. Forman explained his rural focus this way: "Economic development has changed. It used to be that people went where the jobs are. Now the jobs are going where the people are and that will allow many rural communities to become more competitive." "Economic growth in rural areas is going to come from communities growing their own businesses through programs supporting entrepreneurs rather than coveting someone else's business," said Forman. That represents a point echoed by others that rural communities long guided by the goal of luring businesses to move to their towns need to replace that largely frustrating goal with initiatives to create entrepreneurial support services that will help foster job creation. The old economic development model of expending time and resources to attract new business to move to an area isn't exactly dead for many rural development organizations. But it is giving way dramatically to initiatives that are, as David McFadden, the Yakima Valley's economic development leader, puts it: "building our economy from within." Thus McFadden's Yakima County Development Association has put together a couple of innovations that "represent a new wave of thinking about economic development, making an emphasis on quality of place more important than ever." McFadden's group has adopted a two-part entrepreneur development strategy "recognizing that emerging companies are important drivers of local economies." An annual business plan contest launched four years ago to identify and nurture promising companies has attracted more than 50 start-up firms to participate in a process that includes employing SCORE volunteers for three-month seminars. "The other strategic initiative is to help local employers attract technical and professional employees into the region," McFadden said. "This is a huge business retention issue as our businesses struggle to fill key positions." A key part of GEW events in Washington is the day-long Rural Pathways to Prosperity, being put on in 13 mostly rural communities across the state by the Washington State University Extension Service. Becky McCray, a national expert on changing the entrepreneurial climate, will provide the keynote broadcast on a live webinar to the various communities with a focus on guiding participants to understand how to create small business ecosystems. The conference is an outgrowth of Forman's conviction that the focus needs to be "not on entrepreneurs but on creating entrepreneurial communities with workforce programs and technical assistance, infrastructure that provides communities a better chance of retaining entrepreneurs." "High school kids really want to stay in their own communities and building entrepreneurial communities creates a better chance for students to do that," he said. Students will be among the various target audiences for Pathways to Progress organizers in the various communities, but Prosser and Colville are two communities that will have specific initiatives aimed at attracting the involvement of high school students. Prosser High School has created a contest for high school students to produce a poster board for judges detailing their product, the target market, how the product would be manufactured and how they would make money. And at Colville High School, eleven vocational programs from Colville High School in Stevens County will run a contest for students to develop an entrepreneurial business plan in a particular field. A fast-growing entrepreneur-focused program that is now headquartered in Kirkland and, under the sponsorship of Google has developed a global reach, is Fast-Pitch Weekend, a 54-hour fast dash to organize a start-up business. It's not really tied to GEW and is held this coming weekend around the country with groups of developers, business managers, startup enthusiasts, marketing gurus, graphic artists and others pitching ideas for new startup companies, forming teams around those ideas, and seeking to develop a working prototype or presentation by Sunday evening. The organization estimates that, as of last April, more than 1,000 events had been held, involving more than 100,000 entrepreneurs in more than 400 cities around the world, creating an estimates 8,190 startups. How important are entrepreneurs to the economy and thus economic development? The Kauffman Foundation says statistics show that entrepreneurs who have only been in business for one year have already created one million jobs this past year alone, adding that "their contribution will be able to replace obsolete business and create new wealth and opportunities to existing and future residents. The concept of an economic development mission for higher education is as old as the creation of land grant colleges more than 150 years ago. And Elson Floyd understood that from the time he arrived at Washington State University in 2007 as president of this state's first land grant university. "As a land-grant university, economic development is a core part of our mission," Floyd said, noting that one of his first acts upon arriving in Pullman from Missouri, where he had been president of the University of Missouri, was creating an office of economic development. When Congress created land-grant universities, their educational mission was is to focus on the teaching of "practical studies like agriculture, science, military science and engineering." And those constituted the educational focus of what was Washington Agricultural College and School of Science from its founding in 1890 until 1905 when it became Washington State College. That land grant status is an important historical asterisk as Floyd's four-campus university is among the colleges and universities around the country challenged by the emerging effort to press higher education to play larger roles in the economic development initiatives in their states. That linkage between higher ed and economic development has been under scrutiny around the country as various states have been exploring what role colleges and universities should play in helping grow the economies of their states. The issue was brought to the fore in this state in recent weeks with a report to the board of regents of the University of Washington by the Washington Future Committee, headed by former regent William Gates Sr., which suggested UW could do more despite itsobvious and significant economic impact. The group of business and civic leaders Gates chaired urged UW to increase the number of in-state students, keep tuition affordableand increase the number of STEM degrees and do a better job of telling its story to key stakeholders. UW President Michael Young and the regents will now have to digest the report and weigh its relevance to how the state's major research university charts its future. For the state's other major research institution across the state, Floyd says "Our economic development activities are many," pointing to "research and its translation through commercialization," the small-business development centers WSU operates around the state as well as extension activities in every county in the state. "From the beginning of my tenure here, I knew we could have a tremendous regional economic impact by leveraging our institutional strengths through our array of programs," Floyd said in an exchange of emails for this column. "The power of the research university is tremendous in helping to drive economic impact." But Floyd noted "WSU cannot be all things to all people. In our ongoing effort to continue to refine our mission and ensure we are aligned with the state's needs, our institution is continually asking our stakeholder how we can better serve them." The economic-development look is also under way at the state's regional universities, including Central Washington University in Ellensburg. CWU President James Gaudino, who spent 15 years looking at higher education from the outside as executive director of National Communication Association, says "It would be irresponsible for a public institution to ignore the economic-development need" of its state or region. Gaudino, an Air Force Academy grad who came to Central as president on January 1, 2009, says all of the state's universities, in looking at programs in the wake of increasing budget restrictions, used workforce demand for students in the various programs as a key factor in the belt tightening. 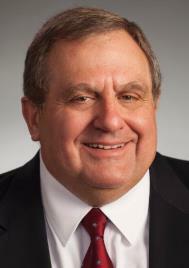 "While we have a growing awareness of how a major fits the industry needs, we retain a strong commitment to liberal arts," said Gaudino, who was the founding dean of the College of Communication and Information at Kent State University before coming to Ellensburg as president of one of the three regional universities. Gaudino, who drew praise for turning the Kent State program into a center of innovation in the new information age, notes all the universities have advisory groups from industry for each of their schools to "keep an ongoing dialogue about industry needs and how we can best satisfy them." But, in an observation that would be echoed by presidents of all six universities in the state, Gaudino said: "We don't want to live in a society that doesn't have artists and humanists or where people have no knowledge of or appreciation for history. And no one would want to move their company to such a place." Gaudino has launched a Center for Innovation and Entrepreneurship and it is the focus on innovation that the University of Washington, in particular, would say is a key contribution it has made to economic development. Yet ironically, what's called tech transfer is an area where the efforts by the state's universities have drawn criticism for a lack of focus or commitment. Len Jessup, former dean of the business school at WSU and now dean of the Eller College of Management at University of Arizona in Tucson, concedes that many research universities across the country just haven't been able to deliver on the tech transfer and commercialization front. "For some it just hasn't been a priority, for others it just wasn't accepted by their campus cultures, and for others 'wanting' to do more of it just wasn't enough to overcome their inexperience in this area," Jessup told me in an email exchange. "On the other hand, I would say that nationally the collective of all the research universities has gotten better at this as more and more universities improve on metrics like faculty invention disclosures, patent filings, licensing, start-ups, start-ups that get to revenue, and jobs created as a result," Jessup added. "Things are clearly getting better and they are leading to new jobs."